• 3x fully working black aluminum Clock Mechanism. • 3x AA batteries required. Modern wall stickers are the latest trend in interior design, down to their ease of use and amazing results. 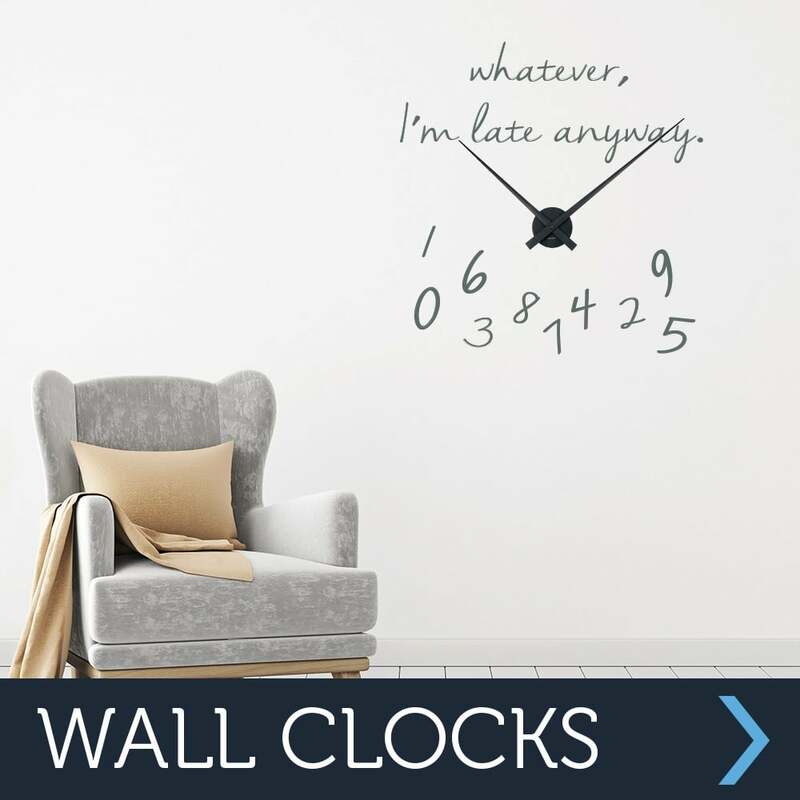 Wall Chimp wall clocks come supplied with fully functioning, black, Karlsson little big time aluminium wall clock mechanism, available in one size. The clock display is made entirely of vinyl and creates amazing results, being easy to install and remove, allows you to change the surround keeping the clock mechanism in place.